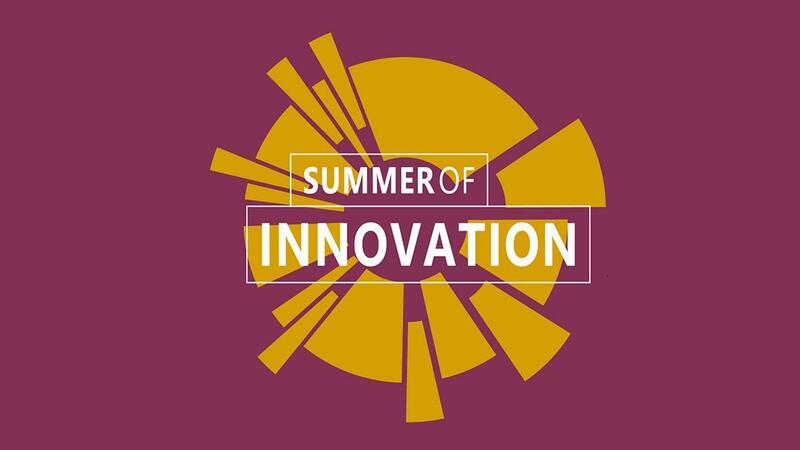 The Museum of Making Music’s fully interactive exhibition will introduce you to innovative instruments on the market today, and will open your ears and eyes to the many – perhaps surprising – ways that music is currently being made. Groundbreaking products showcased in the exhibition include the ROLI Seaboard Rise MIDI Controller, ROLI Blocks, Aerodrums, Stylophones, Phonotonic, Ableton Push, ATV aFrame, and Jamstik+. In addition to these products, Dr. Chris Warren will install a few of his own inventions including a body Theremin and the EchoThief Impulse Response Library. 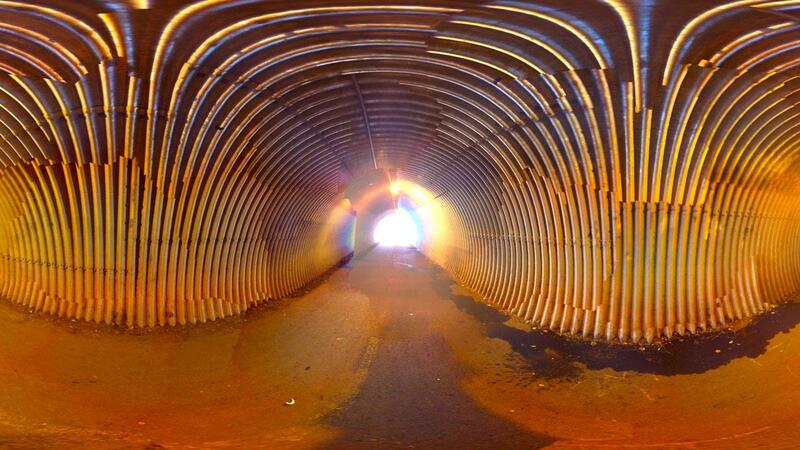 The EchoThief includes detailed sonic snapshots of resonant spaces. So if you want to hear what your favorite instrument sounds like played in Carnegie Hall or in the Cathedral Room of Shasta Lake Caverns without leaving Carlsbad...you can! The aFrame is one of the last innovative ideas to come from electronic music industry pioneer, Ikutaro Kakehashi (1930–2017). It is an electronic drum that enables performers to express their musicality as if they were playing an acoustic instrument. 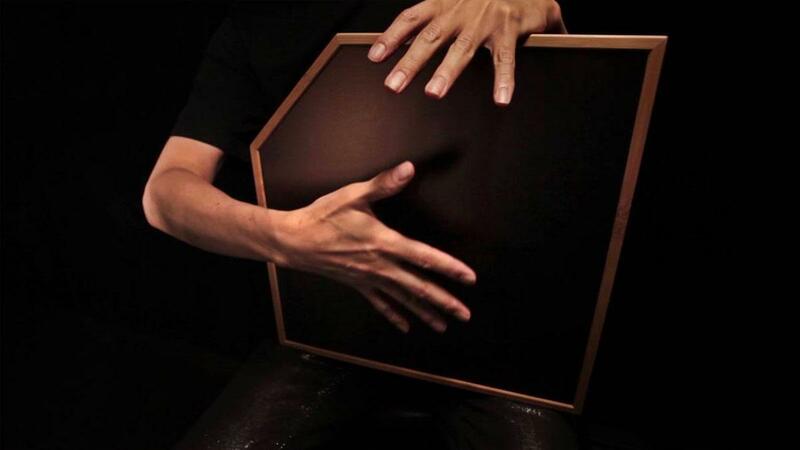 Its “Adaptive Timbre Technology” responds to the percussive playing techniques of striking, pressing, and friction, and produces a broad range of tonal variations. The playing surface is made of high-tech material, the frame from natural bamboo, and the corner is cut off to give it an iconic design. Ableton makes hardware and software for music production, creation, and performance. The company believes that while computers make it possible for one person to create whole worlds of sound, musical inspiration comes from instruments. 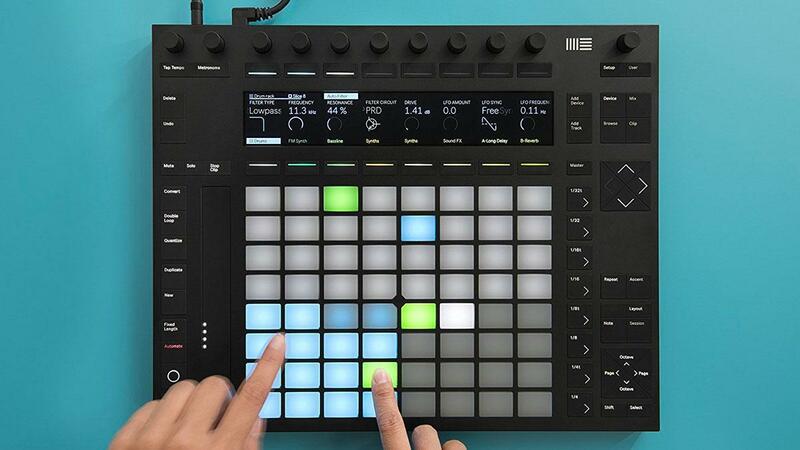 Their product “Push” is both: an adaptive, great feeling, expressive instrument and a hands-on controller of an unlimited palette of sounds. The Ableton Push was programmed for this exhibition by Dr. Chris Warren—musician, sound artist, musical instrument inventor, and signal-processing researcher. 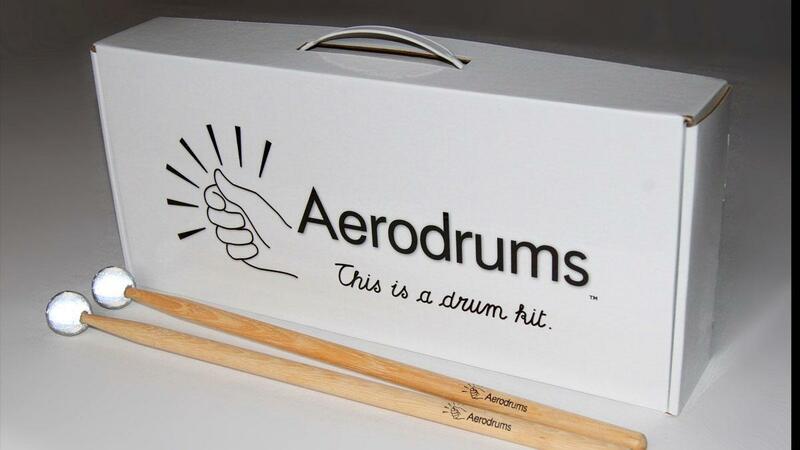 Aerodrums is a virtual drum kit. Through the use of motion capture technology, it understands the players’ drumming intent by “watching” them drum through a high-speed camera. In addition to reflective makers on the drumsticks, two slip-on reflective markers attach to the feet. A light illuminates the markers and a computer tracks their motion to determine what sounds should be triggered in response to movement, and when. The original Theremin was developed in the 1920s by inventor Léon Theremin. The result of proximity sensor research, its user interface consisted of two metal antennas, one to control pitch and the other volume. 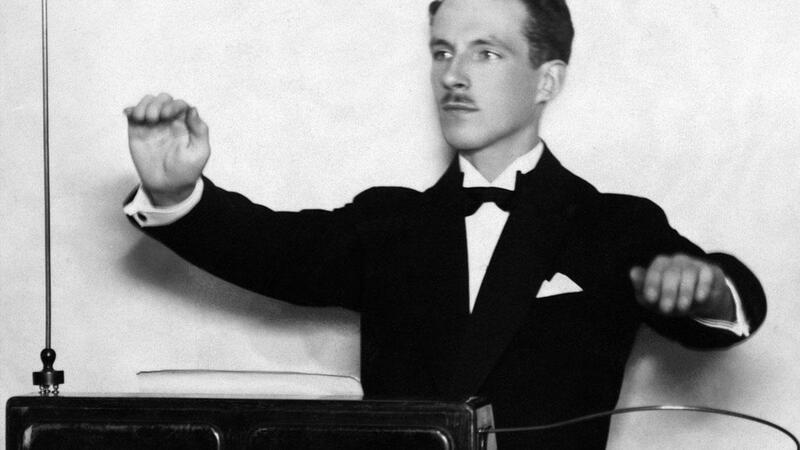 Today, almost a century later, Dr. Warren developed the Body Theremin. This innovation uses a motion capture camera connected to a computer to enable players to use their arms to control two independent voices…thus becoming a living, breathing Theremin. Impulse responses (IRs) are sonic snapshots of resonant spaces. Using his own cutting edge IR measurement technology, Dr. Warren traveled across North America to capture and compile the EchoThief Impulse Response Library. He then paired the sonic snapshots with panorama photographs so the user can experience spaces through both sight and sound. The result? You can sing or play your instrument in an Alaskan glacial cave or in the Pabellón Cultural de la República in Cabo San Lucas before you leave this museum! Phonotonic was developed by a group of musicians, designers, engineers and researchers formerly at IRCAM, a music and technology lab located in Paris. The instrument consists of sensors that are housed inside colorful geometric shaped balls. Using Bluetooth technology, these sensors communicate with an app on a phone or iPad. 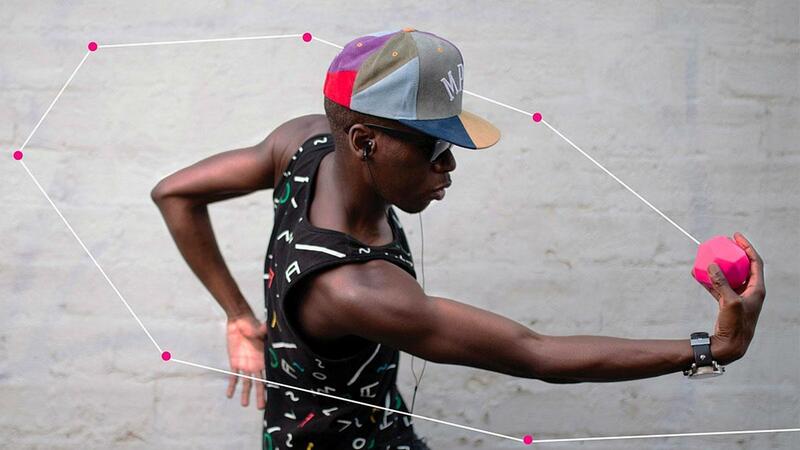 Algorithms developed by Phonotonic then measure the users’ physical movement and transform that data into music in real-time. Roli BLOCKS is a portable and modular music studio system that uses touch, sound and light to engage users of any level—beginners to pros—in making music. 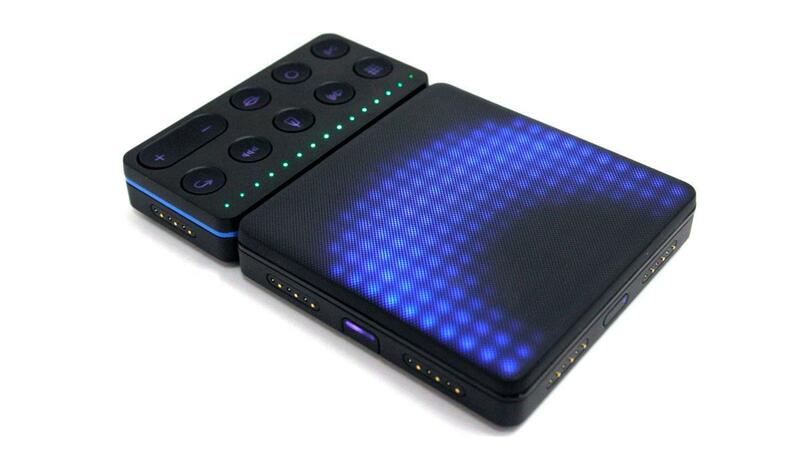 Musicians can drop beats and shape melodies with intuitive gestures such as striking, sliding and pressing on a touch-sensitive LED illuminated grid. Connecting BLOCKS to the free iOS app called NOISE, opens up a universe of sounds and effects... that fits in your pocket. The Seaboard RISE is a MIDI controller that allows music makers to explore new sonic possibilities through an innovative user interface. 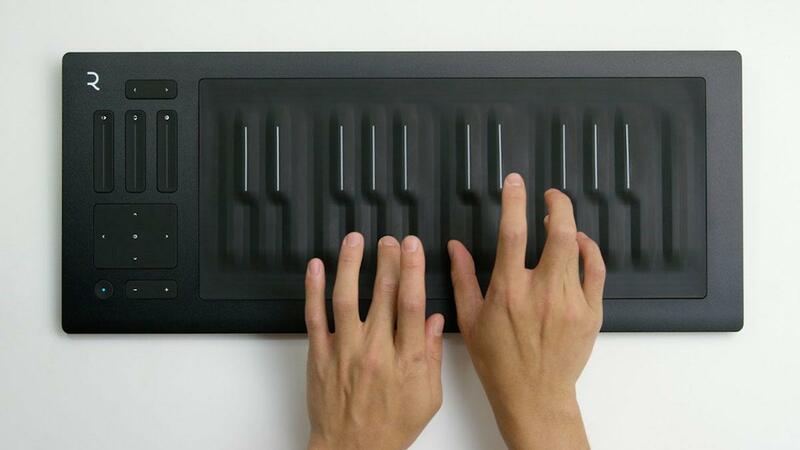 The instrument is based on the piano keyboard, but instead of black and white keys, it has “keywaves” made of smooth, pliable silicone. Its continuous surface is soft, pressure sensitive and highly responsive to even subtle gestures. Sound is created and controlled through the five dimensions of touch: Strike, Glide, Slide, Press, and Lift. 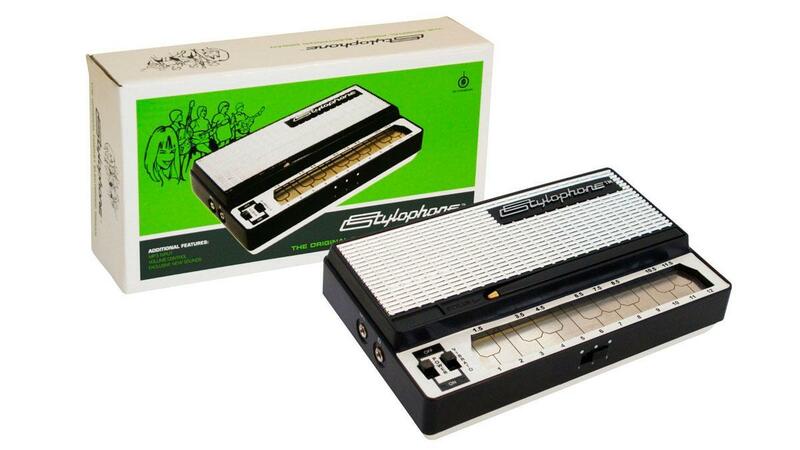 The Stylophone is a portable analog synthesizer invented by Brian Jarvis in 1968. The basic premise was to create a keyboard instrument that was inexpensive to manufacture and easy to use. Although originally envisioned as a toy synthesizer, the instrument’s unique user interface (stylus and plated circuit board touch-pads), classic synth sound and small size has made it popular with amateur and professional musicians alike. It has reached cult status in some circles, especially since its relaunch in 2007. Zivix builds products for professional musicians, people who want to become musicians, or people who just want to have fun with musical tools. 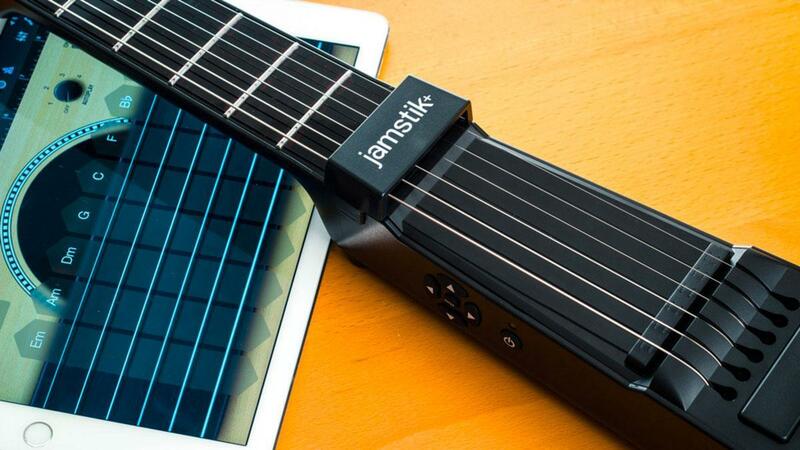 Their jamstik+ is a portable, wireless MIDI controller tailored specifically to guitar players. Because of its technology that senses finger placement, its Bluetooth Smart technology and its many associated interactive apps, it can be used to learn to play, to build, and record a fully orchestrated song, or as a stage instrument.